NEW! Pack your favourit games via Nintendo eShop download always with you - preinstall the game to your 3DS and be prepared to play at any time! A breathtaking 3D world awaits as you begin your adventure in Pokémon Y, exclusively on Nintendo 3DS. Journey to the Kalos Region, a land steeped in mystery, as you take your first steps into the next evolution of Pokémon and choose from three newly discovered starter Pokémon! In this RPG, choose one of the three newly discovered starter Pokémon – the Grass-type Chespin, the Fire-type Fennekin and the Water-type Froakie – and start your adventure. Each has its own special moves, and will gain experience through battles, becoming stronger and eventually evolving. In Pokémon Y, your Pokémon adventure takes on a new dimension. Every corner of the star-shaped Kalos Region is brought to life, from the cobbled streets of Lumiose City to the most far-flung corners of the wilderness. Lumiose City is a thriving metropolis, and from the iconic tower at its centre to its bustling shops brimming with customers, you're sure to find plenty to discover and enjoy. There are a number of newly discovered Pokémon waiting to meet you. Gogoat is a Grass-type Pokémon so large it can carry people on its back, Sylveon is a newly discovered Evolution of Eevee, and there’s a mysterious Pokémon that's connected in some way to Mewtwo. There's also Yveltal, a recently discovered Legendary Pokémon. 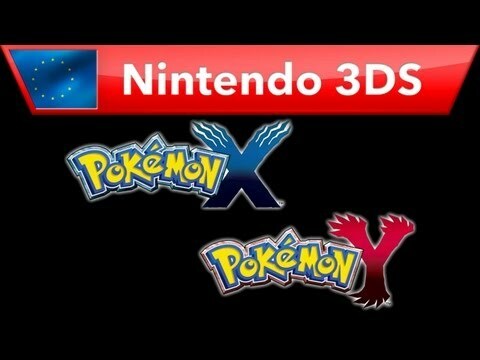 Armed with your new Pokédex, get ready to step into the Kalos Region and begin your new Pokémon adventure!